Aaron is an actor, director, educator, and co-founding artistic director of Convergence Theatre, where he has produced and directed site-specific and immersive work since 2006 including Athabasca, The Unending, Passion Play by Sarah Ruhl, the Dora-nominatedThe Gladstone Variations and AutoShow. He has worked at independent and venued theatres all over the city, including Soulpepper, Tarragon, Theatre Passe Muraille, Factory Theatre, Roseneath, and Crow’s Theatre. 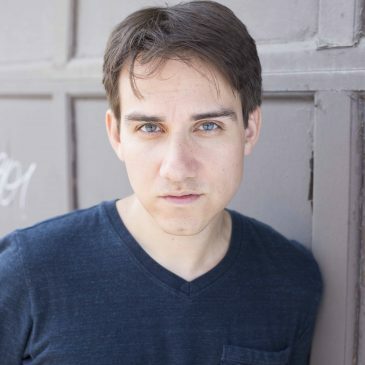 He has taught at George Brown Theatre School, UTM/Theatre Erindale, Humber College, Ryerson University’s Act 2 Studio and the Stratford Festival’s Teaching Shakespeare School. Aaron was a Metcalf Foundation Producing Intern at Canadian Stage for the 2015-16 season and part of the inaugural Michael Langham Workshop for Classical Theatre Direction at the Stratford Festival. Aaron has a BA Honours in Drama from the University of Alberta and is a graduate of George Brown Theatre School. He lives in Toronto with his wife (and Convergence Theatre partner) Julie Tepperman, and their daughter Cassandra.